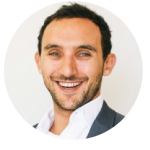 Facilitated by Innovation leader, Julian Kezelman, who specialises in customer value and business model design. In this masterclass, you will learn-by-doing. Julian Kezelman is an innovation advisor, facilitator, and coach. After an early career in corporates, Julian found his way to the innovation space and is motivated by a passion for breathing life into people’s workplace experiences. He works with leading innovation methods including Design Thinking, Lean Startup, and Business Model Innovation. Some exciting projects have included designing in-store experiences for Harris Farm, designing public lands administration policy for NSW beekeepers, and delivering an acceleration program with Westfield that saw 3 startups developed in just 6 weeks. Julian is an avid podcast listener, season wedding MC, and all-round innovation enthusiast. A Masterclass Series — strategies and skills for young professionals, entrepreneurs and intrapreneurs. Do you want to think more creatively at work? Do you need to innovate within a large company? Do you have an idea and don’t know what to do with it? At Thinktrepreneur, we’ll show you how to think outside the box and take risk, be agile and problem solve effectively, and network and pitch like a pro.